Engaging Children in Fun & Educational Opportunities! 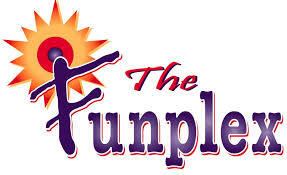 We are proud to partner with The FunPlex in East Hanover to bring learning & fun to children in kindergarten- 8th grade in an environment where they are sure to have a blast! Click the link below to see details for each of our fun clubs! Coding Club Description: Engineering for Kids is proud to partner with CodeMonkey® to train our students in a real programming language called CoffeeScript. CodeMonkey® offers an engaging and enjoyable curriculum which fosters problem solving and planning as well as geometric and mathematical thinking. Robotics Club Description: Join us as students of all ages experience the world of building and programming robots through the technology of LEGO® and VEX IQ. Each week, participants will take part in unique hands-on Robotics challenges. They will design and test their robots to complete tasks, solve real-world problems and compete in friendly competitions. Building Robots sparks curiosity, creativity and conﬁdence. This interactive club will engage students as they discover learning in whole new way! Engineering Club Description: Join us as we dive in and explore various ﬁelds of Engineering. Each week, we will integrate science, math and technology in hands-on activities such as engineering rockets, wiring ﬂashlights, building bridges and testing race cars! Using the Engineering Design Process, students will work to solve real-world challenges and discover just how fun engineering can be. Engineering For Kids is proud to provide young students with the opportunity to participate in many of the competitions and clubs that we have to offer. These challenges encourage our young engineers to expand their minds as they work as a team, make decisions, and learn, all in a fun and interactive environment. Teams can participate in a wide variety of judged and skill-based events, such as science, technology, engineering, or math research presentations or programming-skills routine demonstrations. Our team-based challenges highlight the value of teamwork over combat by bringing teams together in order to achieve the highest possible combined score. Many of our engineers enjoy our clubs because they receive the opportunities to design, build, and test their own creations! Our clubs give children the opportunity to learn more about a particular subject or design that interests them. One quality that our clubs, competitions, and other programs are recognized for is their ability to teach children about self-guided activities. This is one of the best ways to help kids establish a variety of important social and physical skills at an early age and meet others who share the same passions as them. Questions about our competitions and clubs? Contact our engineering camp educators for more information!